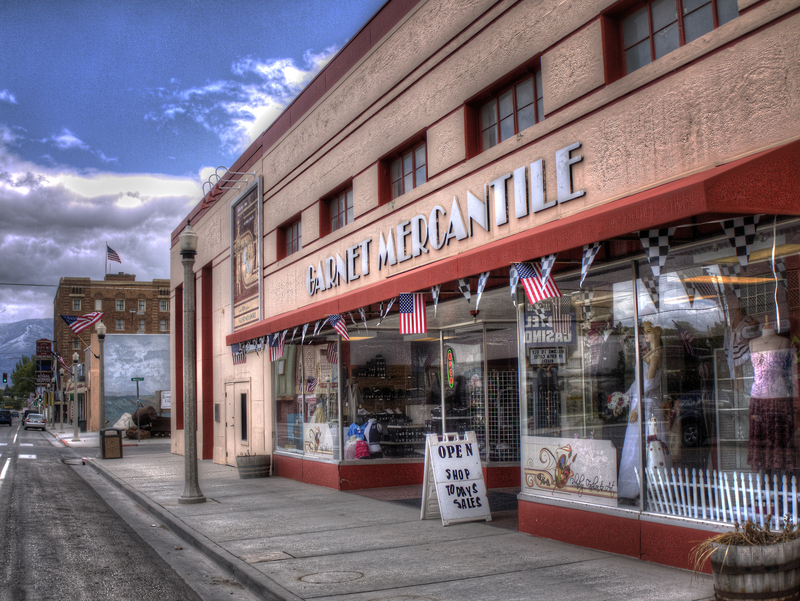 “The Garnet Mercantile is Nevada’s only Community Owned full service department store. Founded in 2004, it replaced JCPenney which closed in 2003 after 90 years of operation in Ely. ” – from the Garnet Mercantile website. So the store was built the same year that the Lincoln Highway was dedicated, 1913, and it is still operating as a general mercantile today. This entry was posted in Desert, Lincoln Highway, Loneliest, Loneliest Highway in America, Nevada. Bookmark the permalink. Take a close look at the reflections in the Garnet Mercantile windows. There’s a whole ‘nuther scene there!